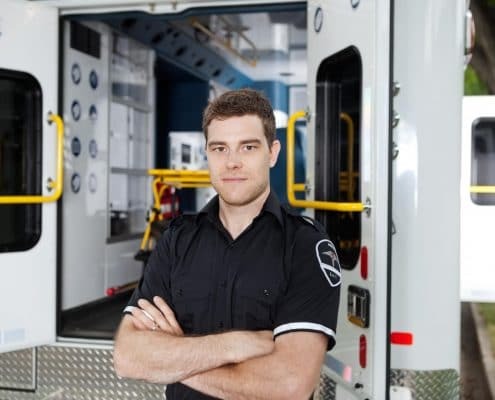 Home Loans for EMS Workers – Yep, We do that too! EMS workers are the ones we call when things go wrong. Aside from the police, of course. A broken bone on the soccer field, a heart attack at night, or a car accident on a rainy Monday afternoon, EMS workers are the heroes we call on when we need emergency medical care. They are fast, efficient, and thorough in their examinations and life-saving skills, and they will get you to a hospital as fast as they can. They dedicate their lives to saving yours on the go. The heroic abilities of an EMS worker don’t come from a spider bite or kryptonite, but rather from years of schooling, training, and a passion for helping others. Despite their heroic actions and quick thinking, they hardly get paid as much as one would think with all the practice they go through. That can make it hard to provide a comfortable life for themselves and their families. Homes for Heroes would like to help with that, though. We offer rewards to heroes like EMS workers with home buying, selling, refinancing, and deals for their area. We can even assist with home loans. If you haven’t checked it out already, click here to see how much you can save with Homes for Heroes. As previously mentioned, becoming an EMS worker takes years of schooling and training, and then they barely make enough to provide a life for themselves and their families. Becoming an EMS worker requires state certifications and possibly registration with the National Registry of Emergency Medical Technicians. They also either need an associate’s, bachelor’s, or master’s degree in a field such as EMS Management, depending on the type of position desired. You can complete an associate degree in typically two years at a community or technical college. However, bachelor’s and master’s degrees take four to six years at larger accredited universities. Tuition for a community college usually doesn’t exceed $5,000 a year. Education at larger universities is much higher, and will most likely require the student to take out loans to pay for their degree. Student loans have the power to put one in debt for the rest of their life. EMS workers don’t choose their job for the pay. They chose that career because they love saving people. Yes, they see some of the worst things imaginable, but they also see some pretty amazing things happen as well. Working in this field allows them to give someone a second chance at life. It’s part of why they live and breathe, to make a difference while saving lives. 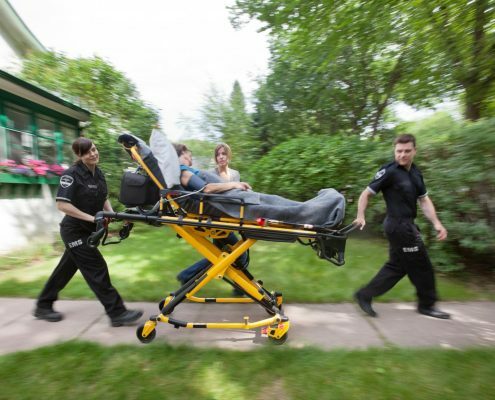 The duties and responsibilities of EMS workers are physically and emotionally demanding. The job requires them to work in fast-paced, high-pressure environments and be efficient at what they do. To them, it’s worth it to save the little girl in the car wreck or help a man having a heart attack get to the hospital as fast as he can. Workers are on their feet several hours of the day and expected to lift patients and heavy equipment. They are often away from their families for days at a time and must see things that we only picture in nightmares. Despite missing their families, they are saving someone else’s, and they have the option to turn those nightmares into another opportunity at life one call at a time. Homes for Heroes helps with home loans and the home buying process for qualified heroes such as EMS workers. 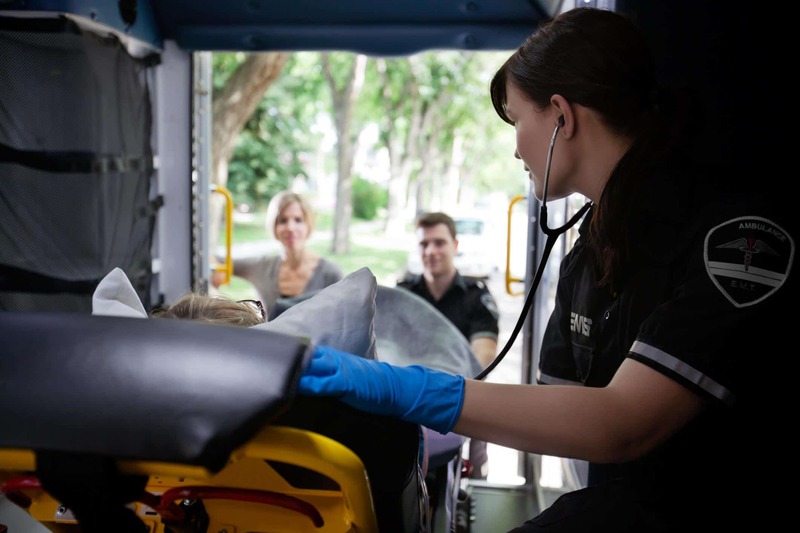 Emergency medical service workers are an essential part of our communities, and we are honored to give back to them for all their acts of heroism nationwide. Our heroes save up to $1,500 on average when they work with our affiliated real estate agents to buy a home. Dedicated to giving back to EMS workers, our real estate agents will save them the most money and simplify the home buying process as much as possible. If you are an EMS worker, who wants to treated like the hero you are instead of just another client, sign up to be matched with one of our affiliates today. You will be contacted by the local real estate agent in your area within 24 hours to discuss your options for buying a home and answer your questions. When you buy with Homes for Heroes, there are no hidden fees, catches, or red tape, just ways to save money on a home. The simple three-step process can provide you with extra savings for a new living room set or summer vacation for the whole family. Let us at Homes for Heroes show our appreciation for your service to our communities by helping to make life easier. It’s not possible to repay you for what you do daily, but we can say “thank you” and show the respect and appreciation you deserve. You save our lives, and we save you money. The sacrifices of EMS workers are more than we could imagine. They are the ones in the trenches of entropy working diligently to restore life, health, and order as quickly as possible. These selfless heroes are the ones who save our children from wreckage and disaster. They put themselves in the line of danger to guard our lives with their fast acts of medical service. Whether it be a concussion, broken bone, natural disaster, or a car wreck, they will show up and not think twice about running to your rescue. Why? Because they are passionate about what they do. They know that life is a precious gift and needs protecting at all cost. So they do everything in their power to save it, so they can say with certainty that it will all be okay. Homes for Heroes is honored to assist our hard-working EMS staff with obtaining home loans and buying a house. It’s a relief to come home to something that belongs to you and justifies all your hard work and dedication to your community. You deserve to have the home of your dreams and to save the most money in the process. Be treated like a hero instead of another client looking to buy a house. Sign up with Homes for Heroes and start your journey to your dream home. Thank you for your service and dedication to saving lives.